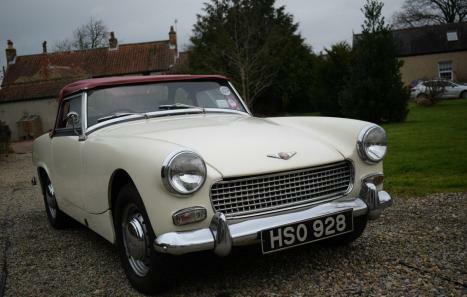 This is my 1961 Austin Healey Sprite Mark II. 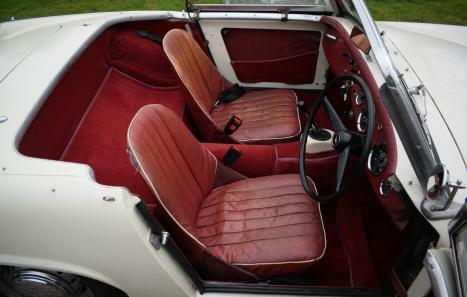 The introduction of the Mark II coincided with the launch of the first MG Midget (Mark 1). 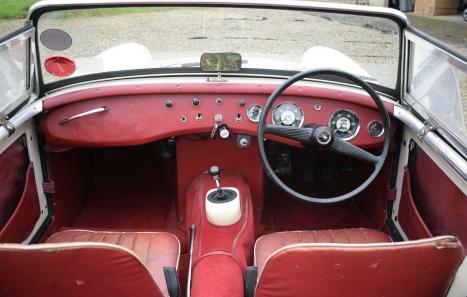 Both retained many early iconic features from the Frogeye Sprite such as no external door handles, side screens, removable hood, Frogeye dash and steering wheel, bucket seats etc. 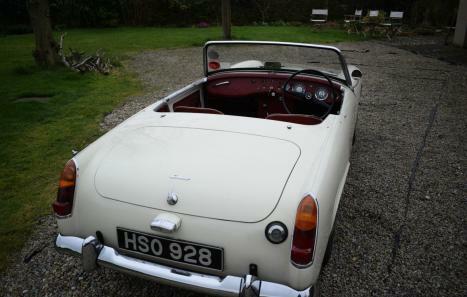 This rare example comes with all the above features and I think you have to admit that the early-style interior with those beautiful Smiths clocks, curvy dash, Frogeye steering wheel with lightning flash logo on horn push (mega rare in its own right these days) and those classic sports car seats make this a true Brit 2-seater convertible!